A couple of million hunters go after pheasants each season, and the best pheasant cover most places is either swarming with those hunters or private land posted off-limits to the public. 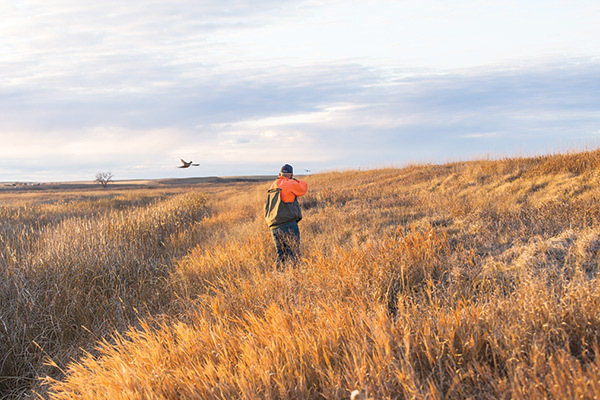 If you aren’t fortunate enough to hold a standing invitation to hunt the family farm in pheasant country, you may have to join the crowd on public land or perhaps pay to play on someone else’s private land. There is, however, another option. Let me introduce you to the pheasants next door. I met them a decade ago while checking out a new PLOTS public access area. The birds were thick—but so were the rigs parked along the road. 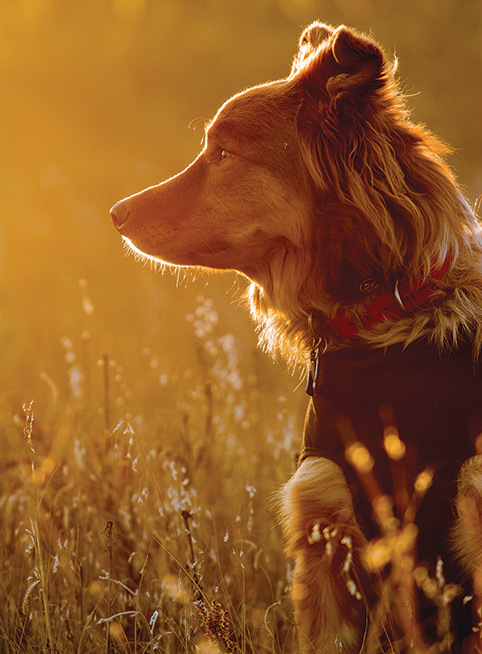 Orange hats and bird dogs swept the golden field like a broom. So down the road I rolled, hoping that one of the other areas on the map might be a little less crowded, a somewhat reasonable hope since several lay some distance from the nearest pavement. I finally found an empty tract. It didn’t look all that promising, certainly not for pheasant. But it did look like it might hold a stray Hungarian partridge or sharptail grouse. If nothing else, it would be better than watching other people hunt. It was an enjoyable little jaunt. I didn’t bump any partridge or grouse, but I greatly appreciated the lone rooster in the game bag. Then I was back in the truck, returning to that first area, hoping some of the crowd had dispersed. Yellow PLOTS signs along the road confirmed that I could, indeed, simply pull over and hunt. So I did, and what I found astounded me. After parking the old Ranchero I let little Katie out, and soon we were marching together into thin if shoulder-high grass. I didn’t see anything, but the dog’s behavior indicated there was more here than met the eye. I had to hustle to keep up with her. The way Katie was twisting and turning meant she was hot on the tail of a sprinting bird in full evasion mode. When a rooster flushed, I downed it cleanly, and upon the gun’s report, literally dozens of pheasants rose into the cool autumn wind. After raising my slack jaw back up off my kneecaps, I fumbled desperately to remount the gun and then sent a load 6 feet behind a departing rooster. Katie retrieved the bird I had managed to shoot, and we set off in search of more of the same in a place that shouldn’t have held what we already had found. By the time we reached the opposite boundary, we had rousted maybe 200 pheasants and a third rooster was rocking gently in the game bag. I was still baffled on the walk back to the old Ford. But once I started driving again, I figured it out, and ever since, I have paid more attention to the cover next door—and the activities of others that may move pheasants over there. That sparse grass may have been poor habitat, but it was better hiding cover than the mowed half-section that lay between it and cover that did offer everything a pheasant might desire. And as I drove along, I realized that this good ground was actually the backside of the crowded PLOTS area I had passed up earlier. The multitude of hunters had pushed the pheasants out, and since they couldn’t hide in the mowed section, they had kept going to the sparse grass I had hunted, the nearest if temporary hiding place. I had been in the right place at the right time, plain and simple. Lucky for sure, but a predictable kind of “luck” that has since served me well. Later that week I was talking pheasants with a friend, Mike Meyers. He told me he had often watched birds trickle into the same location. Mike is quite sharp, and his observations are always keen. Turned out we both had witnessed the same thing elsewhere, too. We later hunted the honey hole that had been crowded the day I drove past. We knew the CRP tangle held pheasants: my friend had watched them return the previous evening. It also served as escape cover for birds leaving an outfitter’s lease, and early that morning, we watched a line of clients put waves of birds over the fence. Knowing that other hunters would soon arrive, we got after it before the birds realized this was no longer a wise place to hide. It was the right choice as other hunters were parked next to our rig 10 minutes later. Mike and I enjoyed a productive if quick hunt. Therein lies another key to cashing in on these opportunities—knowing when to make your move. While we needed to act almost immediately in the above example, it is usually better to let the birds simmer down a little, first. Had we the luxury of waiting an hour, our hunt likely would have taken place at a much more leisurely pace, with easier shooting and perhaps more roosters in the bag. The first location I described was a different story. It attracted minimal attention since it normally held much of nothing and was not directly connected with better cover that drew hunting pressure. The key, there, was waiting for other hunters to drive the popular spot toward the northeast corner. The pheasants flushed out into the mowed alfalfa and then kept going, over a hill and out of sight. A fairly long hike is required from that point to where I found the birds, and few hunters make the effort. Instead, they just turn around and head back the way they came, perhaps hunting a different course. I found no spent shells or boot prints. Waiting an hour or so when feasible allows the birds to disperse a little, too, and this helps avoid another problem: the mass flush. When birds are still grouped up and nervous, the first one to launch usually lights the fuse for a pheasant explosion, an awesome sight that unfortunately offers little by way of shooting opportunity and few birds in hand. A little quiet time is good, but waiting too long can also nix the deal. Once things settle again where the birds would rather be, they head back there, likely by day’s end. Once again, timing is everything. So, what to do with the down time when giving birds time to settle into new cover? Lunch is an option, and I usually eat mine while driving around scouting for more locations, perhaps watching other hunters push birds into other temporary hot spots. More than once, this has given me a backup plan that saved the day when another observant hunter jumped in ahead of me with the same idea. Then there are the times when I get to be both sides of the operation, pushing the birds out and then hunting them with a different approach. At one “sure thing” location in North Dakota, the pheasants get hammered on one side of a creek (the side with the road) and fly across a mucky stream to escape this pressure. Most of the streambed is crotch-deep mud, and few hunters know about the little beaver dam where we cross. It is a lengthy hike, but well worth the effort. The thin native grass that surrounds the heavy cover in the oxbows often holds sharptail grouse, and taking the time to hunt these, too, adds a little extra flavor to the experience. We do bag the occasional stray rooster out there with the grouse, and, more significantly, by hunting our way around this way we get to hunt the pheasants flushed earlier, only from the opposite direction. This also works when others are already hunting the “good spot” when we arrive. Those hunters become our unwitting drivers, pushing birds to where we will be hunting later. And to their benefit, we send a few back across the creek to them. When pushed, pheasants may be marathon runners, but they really aren’t all that bright. Faced with new danger approaching from another direction, they frequently return to where shooting already has occurred. Even better, a couple of hunting buddies to take care of the lateral escape routes and a good dog in the middle results in great shooting all around and plenty of stories for our campfire, too. A final opportunity to meet the pheasants next door comes when crops are being harvested. An uncut corn or sunflower field may provide a veritable fortress for pheasants, and most of the time, such fields are off-limits to hunting until after the crop is off. But, wow, what an opportunity when the combine fires up! If you keep close tabs on such fields and can get there while the machinery is still churning, you may be rewarded with shooting that exceeds your wildest dreams. As the munching machinery devours the pheasants’ stronghold, they run and hide in the nearest available cover, often waiting there until the bitter end before flushing in waves. Standing at a corner adjacent to the final rows of uncut crops, I get a little taste of what the boys in England enjoy on their driven hunts. Bring plenty of shells, especially at the end of a sunflower field since sunflowers attract prairie grouse, too. Perhaps the only thing more frustrating than reaching into an empty pocket while holding an empty gun as pheasants fly overhead is holding that unloaded gun and watching a buddy who did pack plenty of shells fire away. Don’t be proud. Ask to borrow a handful knowing he is going to rub it in—with a big grin, of course.